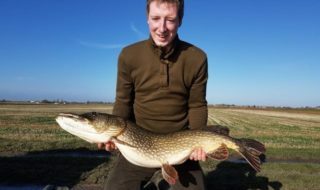 Big fish anglers are being given the opportunity to compete in a new national competition which will reward the best freshwater specimen caught in the UK every month. 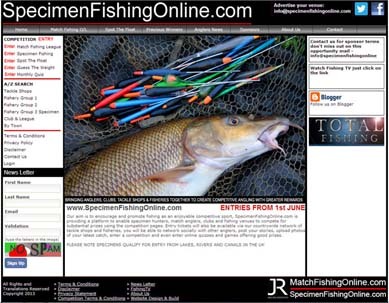 Starting on July 1st, Specimen Fishing Online will hand out monthly cash and tackle prizes which will also lead to a UK ‘Specimen of the Year’ award. The competition is the brainchild of lifelong anglers Roger Sage and John Thornborrow, who are also launching a national competition for the country’s match anglers later this year. They are also evaluating a similar format for the nation’s sea anglers and are considering a junior league as well. Fish caught from all of the UK’s canals, drains and rivers will be eligible, along with selected stillwater fisheries that Roger and John have been busy signing up. “We were looking to come up with a way to ensure that great catches can be suitably rewarded across the country and our national specimen fish competition will do just that,” explained John. The level of cash and tackle prizes for the monthly and annual winners will depend on entry numbers and the competition is open to all – whether you regard yourself as an out-and-out specialist angler, a pleasure angler or a matchman. Sponsors already on board include tackle shops Bowlers, Oakwood Angling and Fat Phil’s and bait company Mad Baits. The winners will be decided on percentage of the current British record for that species – so in theory a gudgeon has as much chance of winning as a barbel. 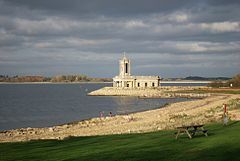 The keys are that the angler must have two independent witnesses, photographic evidence and must have already registered for the competition before making the catch. Registration costs can be as low as less than £2 per week and can be done online at www.specimenfishingonline.com where results and leagues will be published and where you will find all the information about the competition. The website also feature ‘Guess The Weight’ and ‘Spot the Float’ competitions and a quiz, and already a long list of fisheries and tackle shops that have registered. Entry is open from June 1st with the first monthly competition kicking off for July 2013, and you can also register through the network of fisheries and tackle shops that you will find on the website. “Ultimately we would like our competitions to benefit anglers, clubs, tackle retailers and fisheries by increasing participation as well as financial rewards,” added John. 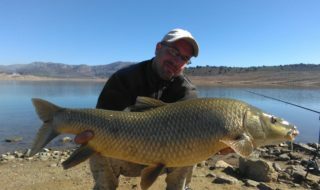 You can enter online at http://specimenfishingonline.com/competitionspecimen.aspx or at any of the network of fisheries and tackle shops that you will find listed on the website. Anglers must have two independent witnesses to the weighing of their catch (or the fishery bailiff/owner) and photographic evidence. They must already have registered before catching the fish – you cannot enter after you have caught a special fish. The monthly winners will be decided on a percentage of the current British record for that species. In the event of any controversy, the decision of Specimen Fishing Online will be final.